I am just about to depart to the South of France (Mercury Retrograde, ash clouds and general planetary mayhem permitting!) for a week of family celebrations and simply have not had time to think up something new to offer my expanding band of readers here at Writing from the Twelfth House. Check it out, and let me know what you think! See you all again early September. 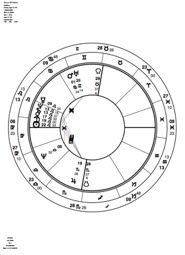 Secondly, from the horoscope drawn up for the date, place and exact time of birth, astrology can give individuals very useful insights into the characters who are enacting the drama of their individual life story. But it cannot tell who the director is, what the exact details of the plot are, or what the outcome of the play will be. 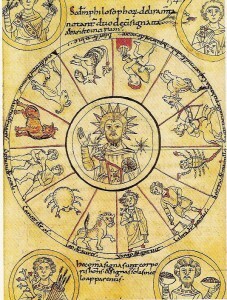 Astrology, like quantum physics, can only deal with ranges of probability. The rest is as it will probably remain – a mystery known only to the Deity. 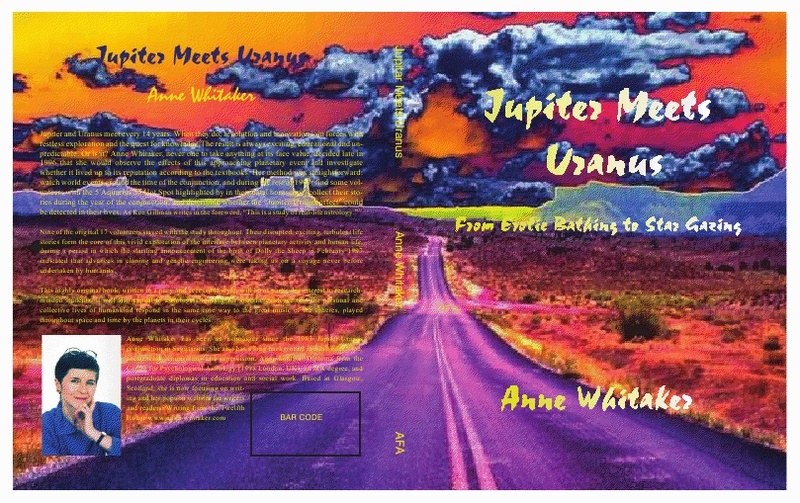 Jupiter/Uranus 2010/11: here come the stories! Those of you following the “Jupiter Meets Uranus” section of this 4-part site will know that I have been writing a series of preparatory articles, orienting readers toward the 2010/11 Jupiter/Uranus conjunctions, since the beginning of the year. Last month I selected 12 volunteers strongly “plugged-in” to the late Pisces/ early Aries energy of the new conjunction. Then I sent them preparatory notes, followed by the first of six Questionnaires. They obligingly sent back varied and colourful feedback, and I hope now will continue to do so right through until next Spring 2011, by which time the new Jupiter/Uranus cycle will have become established. By next Spring, then, through following the unfolding of those 12 lives, we should all have a better grasp of just how many branches can spring from the same recognisable core of the Jupiter/Uranus combo. Seeing this vital, unique essence shining through all 17 of the varied lives of my 1997 researchees made the slog of doing the research worthwhile then. Having now stopped banging my head off the wall, moaning “Why, why, WHY am I doing this?” (Saturn/Pluto, anyone?) I am now surfing that unique wave of enthusiasm, excitement and anticipation of the new (and probably weird) which Jupiter/Uranus brings at its best. Do join me and a great band of volunteers in following their unfolding drama over the next few months. Installments One (6.8.10) and Two (13.8.10) are now out there! I saw some google ads appearing with this article. I did NOT authorise them and want them off!! !